The body of former U.S. President George H.W. Bush arrived at the U.S. Capitol in Washington, where mourners will pay tribute to the man who led the nation as the Cold War ended. 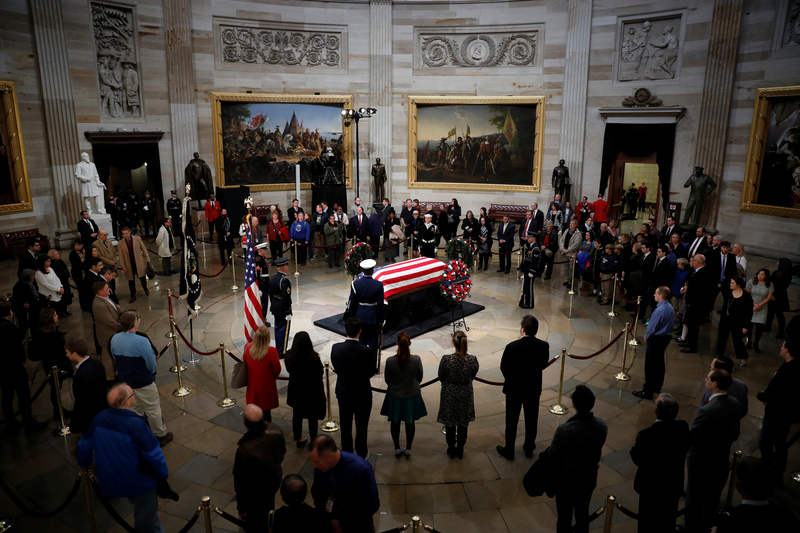 With hands on hearts, members of Bush’s cabinet, lawmakers and Supreme Court justices honored the 41st president as his flag-draped casket entered the Capitol Rotunda. The Bush family, led by son and former President George W. Bush, accompanied the body on the flight aboard Air Force One from Texas.